It’s a known fact that fruits and vegetables are some of the healthiest foods you can eat. Aside from giving you the nutrients your body needs for optimal functioning, you can also get a lot of antioxidants from fruits and vegetables to protect your body from diseases and the damages caused by aging. Dietary fiber naturally derived from the fruits and vegetables you eat keep your gut clean and healthy. Different fruits and vegetables give us different health benefits. But did you know that the more you eat fruits and vegetables, the better your mental health also gets? 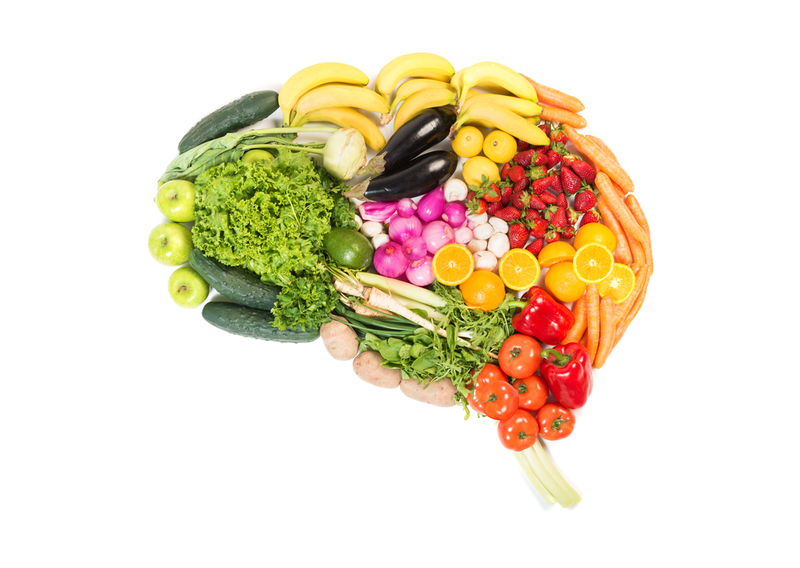 A recent study reviewed the various mental health benefits of fruits and vegetables. Take a look at the different ways eating nutritious fruits and vegetables can lead to positive mental health. Aside from being a rich source of dietary fiber, people usually associate fruits and vegetables with vitamins. Indeed, you can get various kinds of vitamins when you eat fruits and vegetables, although the type and the amount would differ based on which veggie or fruit you consume. Moreover, with the growing awareness of antioxidants and how they protect our bodies, fruits and vegetables are now considered not just as excellent natural sources of vitamins and minerals but also of antioxidants. If you want to maintain a positive outlook on life and maintain your optimism, eating fruits and vegetables rich in carotenoids will surely benefit you. To increase your carotenoid intake, make sure to include a lot of carrots, apricots, plums, sweet potatoes, spinach, kale, cantaloupes, and mangoes in your diet. Moreover, apricots, plums, and mangoes are rich in vitamin C, which also acts as antioxidants that help our bodies fight oxidative stress and help protect our mental health. Together with vitamin C, vitamin E, another antioxidant, also helps us fight off depression. Fruits and vegetables rich in vitamin E include avocados, mangoes, raw red sweet pepper, raw turnip greens, kiwifruit, black currants, blackberries, apricots, and raspberries. By the way, have you heard of a fruit called mamey sapote? It’s a tropical fruit with brown skin and salmon-colored flesh. What’s interesting about mamey sapote is that its vitamin E content is extremely high. Plus it’s also packed with vitamin B6 and vitamin C.
Ever noticed how supplements that are touted to reduce stress and anxiety always contain a lot of vitamin B? This is because vitamin B helps balance the levels of neurotransmitters in the brain, which, in turn, is necessary for us to effectively deal with anxiety and stress. If there’s an imbalance in the levels of neurotransmitters, it can lead to depressive mood and other psychological changes. If you’re going through a lot of occupational stress, try increasing your intake of foods that are rich in folate, vitamin B6, and vitamin B12. These vitamins directly impact your mood and help in the regulation of neurotransmitter activities in the brain. Although meat and dairy products are the more popular natural sources of vitamin B, you can also get vitamin B from darker-colored leafy vegetables like spinach and broccoli. Beans, lentils, citrus fruits, bananas, and avocados are also rich in vitamin B. Plus, they’re healthier choices compared to meat, especially if you’re keeping a close eye on your weight. Beans, peas, and bananas are rich in complex carbohydrates. Instead of eating sugary snacks, which can cause your blood sugar level to spike, you can get your carbohydrate nutrient requirement from fruits and vegetables that contain a lot of complex carbohydrates. Additionally, foods rich in complex carbohydrates have low glycemic index, so they’re also great for people with diabetes. When you consume carbohydrates, it triggers insulin production. Insulin then stimulates the synthesis of key neurotransmitters such as serotonin, which regulates mood, appetite, behavior in social settings, memory, sleep, and even sexual desire. Thus, when you have high levels of serotonin, it can enhance your mood and improve your psychological well-being. Other fruits and vegetables that also contain serotonin include pineapple, watermelon, grapefruit, kidney beans, and potatoes. In a recent study of more than 60, 000 Australian adults, the researchers found that reduced incidents of psychological distress are associated with consumption of fruits and vegetables. For men, even at medium levels of intake, eating fruits and vegetables can already help prevent and lower psychological distress. Another recent study looked at how eating fruits and vegetables affected the psychological well-being of young adults between 18 to 25 years. What’s notable about the results of the study was that even though the participants only increased their fruit and vegetable consumption for two weeks, significant effects on their psychological well-being were already evident. This means that if you’re looking for a short-term relief from whatever it is that’s making you feel psychologically down and you don’t want to take any medications for it, you can simply add a lot of fruits and veggies in your regular diet. It won’t just help enhance your mood, you’re sure to gain a lot of other health benefits as well. 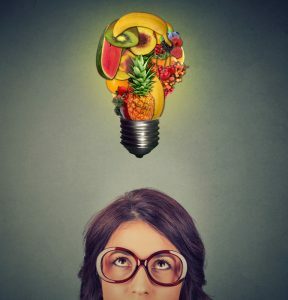 Within the two-week test period, those who increased their fruits and vegetable intake by eating two additional servings of fruits and vegetables in addition to what they normally eat showed increases in motivation, flourishing, and vitality. A 2013 study, on the other hand, investigated how much fruits and vegetables you should eat so that it would lead to significant positive effects on your psychological well-being. The researchers define one portion of vegetables and fruits, including fruit juice, as the equivalent of 80 grams. 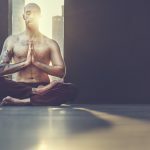 There were various aspects of well-being that were investigated in the study including self-reported health, mental disorders, life satisfaction, and happiness. Those who scored better on the various well-being measures were the ones who consumed more fruits and vegetables. This does not mean, however, that your diet should only consist of fruits and vegetables, as the researchers found that general well-being peaked at seven portions of fruits and veggies. This means that even if you eat more than 7 portions each day, it will not have any additional significant effect on your psychological well-being. It also doesn’t mean that you should eat all seven portions in one meal. You can simply divide the portions into breakfast, lunch, dinner, and, of course, snacks.